Here is a quick tour of how I use Contactually to stay top of mind with my most important contacts. Start your two-week Contactually Full Disclosure: I earn a commission if you click this link and make a purchase, at no additional cost to you. trial here. [Video] How to log information in Contactually after a meeting. You want to send followup emails but you don't know where to start. You want to follow up with old clients and colleagues but can't think of something clever to write. You have writer's block and could use some inspiration. It's not so easy to come up with something to say after meeting someone at a networking event or connecting with someone you haven't spoken to in a while, especially if you don't want to sound like you're just trying to get something from the person. How to write followup emails like a lovecat. Love Is The Killer App is a book by Silicon Valley executive Tim Sanders in 2005. Tim wrote the book to share a counterintuitive observation he made while working in the supposedly cutthroat world of high tech. He noticed that people who were more likable and generous climbed higher (and faster) in their silicon valley careers. He called these likable, genuine, generous folk lovecats. Offering to share your knowledge, network or compassion is a way to help promote others AND stay top of mind with your network. So if you ever feel stuck trying to write an email or LinkedIn message, think like a lovecat. Ask yourself what can you offer them that they might appreciate. How to automate lovecat strategy emails. Being a solo professional means keeping about a million things straight. and remembering to call your mom her birthday. Automation can start to take those million little to-dos off your plate. Automation for solo professionals who don't have time to automate. I've designed this free, 5 lesson course to give you a start-to-finish playbook for reliably automating your client booking. 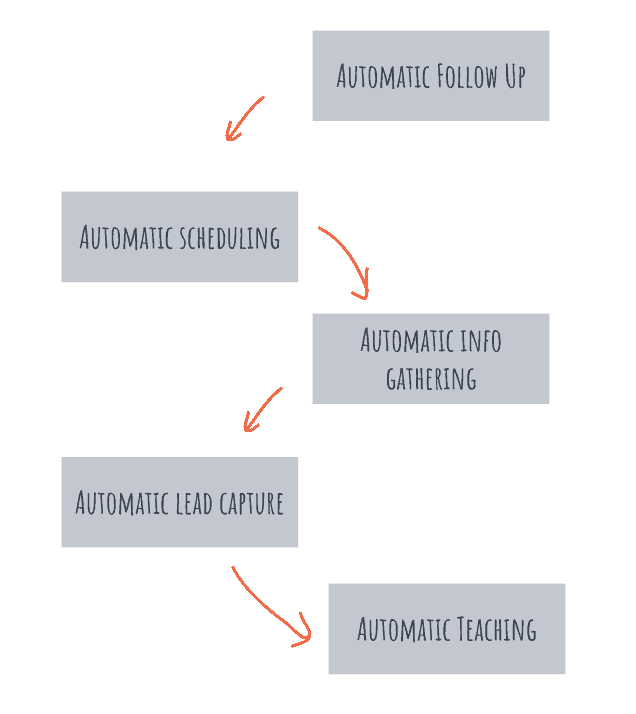 Each lesson comes with a succinct video and email lesson that will walk you through the how to build each automation. I've also included links to tools, resources, extra articles and videos for those who want to dive deeper. Join the thousands of service-based professionals who are scaling their business with email and client booking automation. I was just thinking about you. Hope you are well. What's going on with you, business-wise? Anything new or exciting you are focused on right now? This morning I was thinking about all of the support and advice you have given me since we have know each other. I wanted to reach out just to say thank you. You have made a huge impact. I am glad to count you as a friend. I was just thinking of you this morning and it made me realize that it has been a while. I would love to hear what's new in your world. Would you like to get caffeinated and catch up catch up sometime soon? If so, a virtual coffee might be just the ticket. I am working on a new program and I could use a good copywriter for the project. Do you know anyone I could talk to about finding some quality help in this area? Note: Social media is also great for quick check-ins. Commenting or liking a post is often easier and more appreciated than an email. Subject: Thanks for taking the time to meet today. Lots of ideas to chew on until next time. Just wanted to quickly follow up in case my last message was buried. Feel free to contact me with any questions you might have. I’m here to serve as a resource to you and your team, so please let me know how I can help. Hey! I didn’t hear back, so I’m going to assume you’re not interested and stop following up. If that ever changes, just get in touch! Have a great week. A more humorous version from my buddy Michael Katz. Hello Name! I haven't heard from you so I'm assuming you've moved on to other things. Let me know if things change in the future in a way that I can help. I am sure you get many "nice to meet you" emails after a networking event... Here's another one! Networking is a great way to help you grow a business and mine is no different. Referrals are the best introductions to new clients and while we don't know each other that well yet, I'd love to chat some more so we can be of help to each other in the future. Let me know if you're looking for any new clients or partners, and if I can help out at all, I'll make an introduction. and sign up if it seems useful to you. I wanted to connect you with Zack, his company does workflow automation for service-based businesses. I think this can be really interesting for you, and a contact would be mutually beneficial. It seems like we're a great fit. I'm excited. Before we go any further exploring a potential deal, I want to bring up that we're fully focused on building world-class technology and on servicing and supporting our customers to massive success. What that means is that we're not investing in marketing and sales as heavily because our happy customers are referring us to others who could benefit from our product. Does that sound like a fair arrangement to you? Glad to have this project successfully out the door so you can start [experiencing more benefet]. Who else do you know who could benefit from a solution like ours? After they say, "I'll think about it." I appreciate that, and I’m sure that over the months and years as you benefit more and more, we’re going to get lots of referrals from you, which is going to be awesome. Can you take a minute right now and think about just one friend who is in a similar position and would really benefit from this? Great, thank you. I want to make it as easy as possible for you to make that introduction. So you’ll get an intro email from me. Just copy and paste it, and send it to Bob and Steve. Feel free to make edits or write something yourself, if you like. New, repeat and referral business all come from one place. Your relationships. 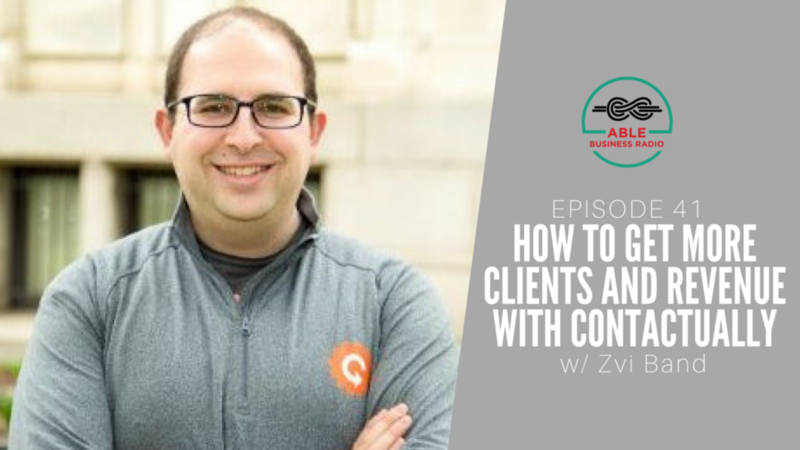 Contactually CEO Zvi Band comes on the podcast to show us how to take the heavy lifting out of reaching out to and following up with your important business relationships. [Audio] Interview with networking expert John Corcoran. Does a majority of your new business come from referrals? Do you often wish you had a bit more control over when and where your next client will come from? Then today's show is for you. My guest, Patrick Ewers, is Silicon Valley’s top relationship management expert. Patrick and his team at Mind Maven train business leaders to reach their full potential by ensuring they hear about more of the right opportunities. Startup founders hire him to uncover venture funds or their next big hire. You and I can use his actionable insights generate more of the opportunities we want in our business. [Audio] Interview with word-of-mouth marketing expert Michael Katz. Michael Katz is a likable marketing expert for solo professionals. 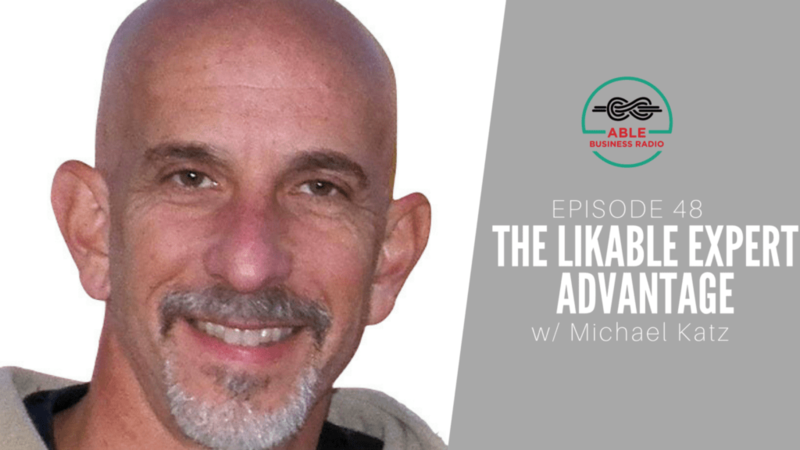 He came on the podcast to show you how you can get more and better clients by positioning yourself as a likable [fill-in-your-service] expert. No marketing budget? No problem! 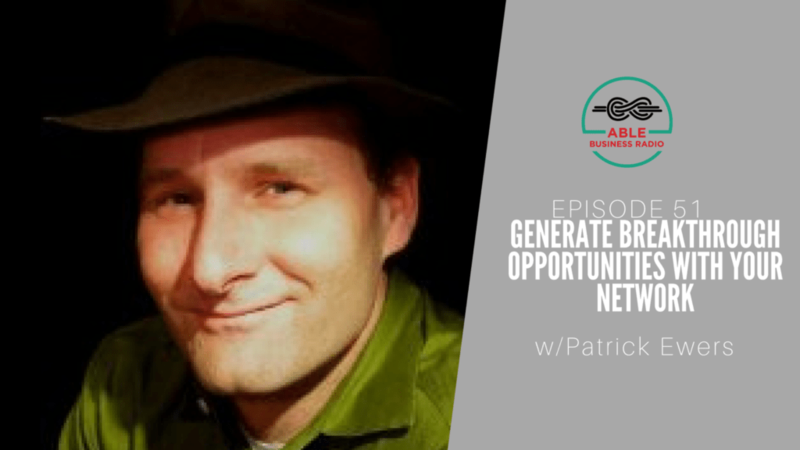 After listening to this episode, you’ll know how to attract all the clients you need with word-of-mouth marketing. Bonus: Want to add a fast-forward button to all of your online videos? Check out the Video Speed Controler Chrome extension.